Free plans for building a wooden see-through bird feeder. This type of shelter is considerably more difficult to construct. It has glass on all sides, and is open at the bottom so that birds can enter or leave at will. Food shelters become centers of interest in proportion to the number of birds attracted to them. Seed-eating birds are readily attracted by the use of small grains such as oats and wheat. Bread crusts or crackers may be placed in the food shelter with the knowledge that the birds will eat them. If you are buying seeds, get hemp, millet, canary seeds or sunflower seeds, together with the small grains and cracked corn for foods. Suet, scraps of meat and various vegetable scraps, such as celery, lettuce, apples, raisins, and the berries of various bushes, are relished. Bluebirds seem fond of meal worms such as develop in old cereals. All birds require water and frequently suffer because they can not find it. Finally, when the ground is snow covered, many birds appreciate a supply of sand and finely ground poultry grit. Many birds are lost each winter because of insufficient food during inclement weather. 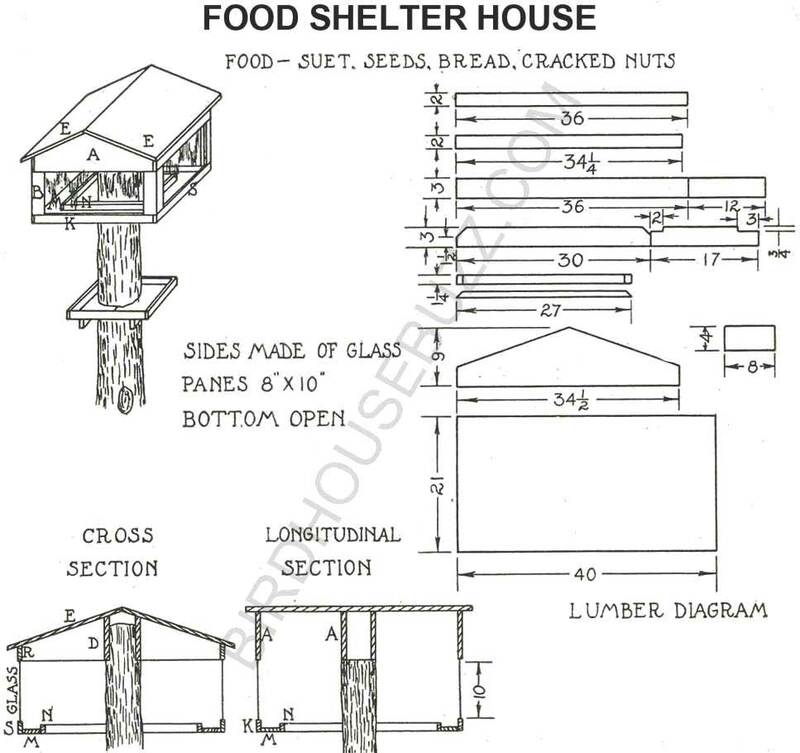 Follow this diagram to make a food shelter house that will be used for all kinds of birds year round.